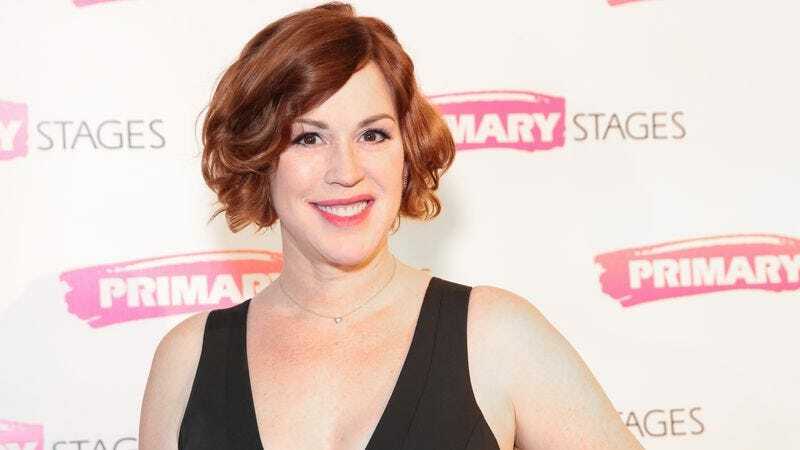 According to The Hollywood Reporter, Molly Ringwald has joined the cast of Riverdale, The CW’s Archie-inspired show that we’re still not convinced isn’t an elaborate prank. For those who missed the trailer a few weeks ago, Riverdale is basically a gritty reboot of the Archie universe, with the town rocked by a murder mystery and the eponymous teen having an affair with his teacher. Ringwald will play Mary Andrews, Archie’s mom, and she’ll return to Riverdale “in her family’s hour of need” after leaving Archie (K.J. Apa) and his dad (Luke Perry) two years ago “to follow her dreams.” This will be a recurring guest-star role, with Ringwald only set to appear in episodes 10 and 11 for now. Also, the THR story specifically points out that her visit will coincide with the homecoming dance, which probably means some shocking and/or dramatic stuff will happen around that time as well. Riverdale premieres on The CW on January 26.